Buy direct from Simon with PayPal (UK Customers only) only £6.50 inc. postage and packing. So finally I have got around to putting what I do onto my own CD. It seems an awfully long time ago now that my dad first introduced me to a scratchy old EP recording of Meade Lux Lewis with Louie Bellson which caught the ear of a spotty teenager more into Bowie and Roxy Music than this jazz thing. In the following years I would be inspired by the piano improvisations of the greats, especially Bill Evans and Bud Powell, during my attempts – hopefully with some degree of success – to install a love of this art form in many pupils at Truro School in Cornwall. As a performer I have had the privilege to work with a number of Cornwall’s most respected musicians, some of whom can be heard on this disc, and I would like to thank them all for their encouragement, contribution and friendship. Along with my long suffering extended family, I would like to dedicate this whole thing to the memory of the person who started it all, Ken Latarche. 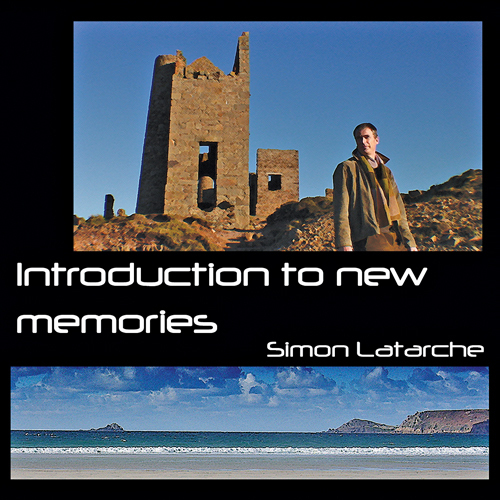 This CD can be purchased online via PayPal For £6.50 inc. Postage and packing.